Examples of typical studies using real (anonymized) data were shown. Obesity-driven metabolic diseases, including non-alcoholic fatty liver (steatohepatitis), are now the leading cause of liver cirrhosis. Dr. Briggs described liver fibrosis modeling in mice, including a non-alcoholic steatohepatitis (NASH) model used at Woodland in which C57BL/6 mice are treated with streptozotocin to induce diabetes and conditioned on a high fat diet. An optional, proprietary third hit can push the model toward increased fibrosis and liver cancer. Due to time constraints, many of the questions researchers submitted to his Q&A session went unanswered. Here, we present here the full Q&A. Q: What parameters are used for randomization of DIO animals prior to study start? Dr. Michael Briggs (MB): For studies focusing on obesity, we use body weight. For NASH studies, we use blood glucose levels. Q: What are common dose routes for DIO studies? MB: Oral gavage and subcutaneous injection dose routes are most common, but intraperitoneal injection is also possible. The pharmacokinetic (PK) properties of the test compound dictate route of administration. If there is insufficient data to indicate good oral bioavailability, subcutaneous or intraperitoneal injections would be indicated. Because of the duration of the experiments, intravenous delivery is usually contraindicated but may be used for acute biomarker studies early in a program. Q: Does Woodland's institutional animal care and use committee (IACUC) require observation of animals with significant weight loss by the attending veterinarian? MB: It is a good idea to engage with the attending veterinarian when animals lose a significant percentage of body weight. They will observe body condition score. 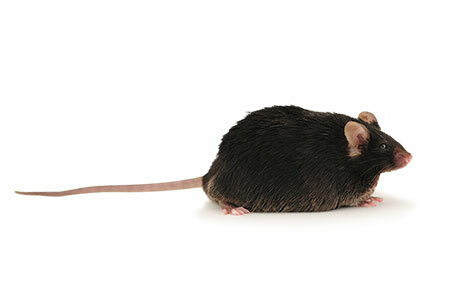 In normal animals, a weight loss of 20% would cause the spine to stick out, but DIO mice which lose 20% of their body weight have a normal body condition score and are typically within "normal" weight of chow-fed mice of the same age. Engaging in advance with the attending veterinarian regarding this weight loss can give the IACUC confidence that the study directors know the model well and are working within IACUC animal welfare guidelines, despite the high percentage weight loss. IACUC pre-approval to go beyond 15-20% weight loss may be a requirement; your vet should know. Q: What classes of compounds are appropriate to study in DIO mice? MB: Various types of anti-obesity drugs may be studied in DIO mice. Insulin sensitizers may affect glucose and can be studied in this model. Of the studies reviewed in this webinar, there are two types of data. One type is SAR (structure activity relationship) studies in which a series of similar molecules with chemical variations are tested. Studies in DIO mice are a pretty sensitive method of doing SAR studies for drugs which may affect obesity or glucose levels. The other study type shown is dose response studies, in which the same molecule is given at varying doses within a 10-fold range. DIO studies typically show dose response effects. The DIO model is very robust. With n=4-5 per group, it indicates the model is very sensitive and well controlled. Q: For SAR studies, do you need preliminary PK data to show the exposure level is similar across the series of molecules for an apples to apples comparison? MB: That's good pharmacology. For close analogs, most chemists would say that the PK properties should generally be fairly similar, but it is best for biologists not to speak for chemists — that is a call for the project team. Q: You mentioned group sizes of 4-5 mice per group in DIO studies. Do you ever see non-responders which throw your error bars off or are responses pretty tight? MB: Every now and then you have an outlier, but response is usually pretty consistent in DIO mice. Outliers can be due to operator error, which is generally infrequent at Woodland. The DIO model is very robust, and study groups can have 4-5 animals with good success. Q: Have you looked at meal patterns in anti-obesity studies? MB: No. It could be done. It might affect performance of the assay and would be more experimental rather than a robust screen. Q: How would you measure obesity-related inflammation in DIO mice? MB: I would run a Luminex panel; there are several options available with multiplexed panels. Q: How would you assess energy expenditure in the DIO model? MB: The best way to do this is a metabolic cage, which would measure oxygen, respiration and temperature. We do not use metabolic cages at Woodland. Q: How long does it take for the high fat high cholesterol diet to induce fibrosis and hepatocellular carcinoma in the NASH model? MB: We run an accelerated model using high fat diet. In the Woodland model, we see the typical NASH parameters of steatosis, lobular inflammation and ballooning degeneration (a form of hepatocyte cell death) and fibrosis, along with hyperproliferative disease at 12 weeks on high fat diet, with steatosis and the beginnings of fibrosis developing within 2 weeks (see Catabasis/Woodland poster for an image). At two weeks, we see the beginning of fibrosis by Picrosirius Red collagen staining, but this is not at a point at which you could score disease. Q: Have you performed collagen staining in the liver in DIO mice? MB: We will be doing this in DIO mice as part of a collaboration with Taconic Biosciences. In our NASH model, we do that routinely, as described above. Typically, this is read by a board-certified veterinary pathologist but sometimes we're requested to digitally scan the tissues and perform digital scoring of fibrosis on the Picrosirius Red stained scans. Masson's Trichrome and other stains can also be used to stain collagen. Q: Beyond liver biopsy, are there other biomarkers which can be followed for fatty liver response or NASH response? MB: That's the $64,000 question which no one has answered successfully yet. Glucose can be measured; inflammatory markers can be measured. But that doesn't score fibrosis and NASH, it scores diabetes. There aren't good biomarkers for presence or extent of liver fibrosis. Q: Are you aware of any in vivo imagining which can be used to monitor progression or regression of NASH, without sacrificing the animal? MB: You could look at ultrasound or MRI for fat content in the liver, compared to water content. Contrast MRI can be used. Fibroscan is another option. The equipment for these methods start at $250,000 and go up from there. There's really nothing that's easy, cost-effective, and adapted to small animal studies. Liver biopsy is sometimes used, but this is an invasive procedure and introduces liver regeneration as the wound heals (proliferation) into the picture, which could affect overall outcomes. Our preference is to use sentinel animals which are part of the study group (n=15 or 20) and then take down a cohort periodically to gain a sense of how fibrosis is progressing (control NASH animals) or being attenuated/regressing (treated animals). We've done this successfully for clients in the past. Q: The liver sections showed a lot of lesions but not much of collagen staining (Masson's Trichrome). Can you speak to fibrosis pathology observed in the NASH model? MB: In the NASH study presented showing a lot of hyperproliferative disease, the fibrosis score in the study was a 2 (0-4 score using the Emily Blunt scoring system, 1999). That is not extensive fibrosis, and in the mouse we generally do not see scores higher than 2.3-2.5. Also, these were images showing the whole liver slice, to see fibrosis you need to zoom in to 20X or more. Mentioned in the Q&A earlier, we can add in additional insults to the model, some chemical and some more metabolically relevant which will accelerate fibrosis and increase its intensity. In a female model with chemical insult, we routinely achieve scores in the high 2's to even 3's, which is unusual for mouse pathology. Q: What type of diet is used for control animals, chow or low fat purified diet? MB: Woodland has often run an "age-matched" normal chow diet control group that are carried under the same housing and husbandry conditions as the experimental NASH group. Normal is pretty much normal and if I were to be asked to do this by a client I would advise to use an n=5 to save them some money. There is no steatosis, little to no inflammation and no ballooning with no/very little fibrosis. The same is true for DIO obesity studies, there are 1000's of data points on normal mouse weight gain on chow. Maybe for a final investigational new drug (IND) application enabling study, but not in routine screening use. Again, though, this is a project team decision. Q: What are the cell populations within the liver participating to NASH development other than hepatocytes? MB: In the liver, many of the cells participate. While a focus is on infiltrating macrophages, the liver's macrophages, Kupffer cells, also can be activated. The other key cell type are the hepatic stellate cells, which when stimulated by hepatocyte cell death and inflammatory stimulation caused by obesity, are activated to become myofibroblast-like cells which drive a lot of the later phenotypes and fibrosis with activation of MMPs, TIMPs and other remodeling pathways. Q: To what extent do existing NASH models mimic the human disease and how close do you think we can get with animal models? MB: It's important to remember that this is a mouse model. The models currently score fatty liver very robustly, as the steatosis presentation is very good. I think that inflammation of the liver is also fairly consistent and probably predictive for anti-inflammatory molecules. We know this from a molecule that was in the clinic and had certain benefits in patients (anti-inflammatory) which we also saw in the preclinical model; for example, we saw significantly reduced levels of IL-6 and TNFα in our model. That does not mean it (inflammation markers) will translate broadly. Prednisolone works well as a positive control in the NASH model. As far as fibrosis goes, the jury is out. We have tested a number of clinical candidates. Most of the clinical candidates do not do a stellar job of reducing fibrosis in humans. That is replicated by testing in the Woodland model, where they similarly do not reduce fibrosis significantly — there is an effect, but not robust. We've had discussions with a potential academic hospital partner to compare gene expression in human NASH patients to data in our animal models to identify overlapping pathways.